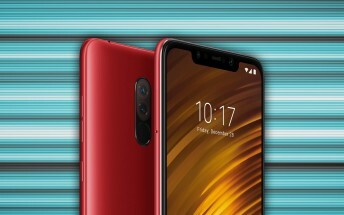 The bold Rosso Red version of the Pocophone F1 didn't show up for last month’s sale in India, but you’ll have a chance to snag one next week. The Steel Blue, Graphite Black and the special Armored Edition will be available as well. The sale starts on October 11 at 12am local time. The price for the 6/64GB model is INR 21,000, same as before (note that the Armored model is available only in 8/256GB). Carrier Jio is offering a deal for Pocophone buyers – INR 2,400 instant cashback, up to 6GB of 4G data and an additional INR 5,600 discounts on flights and hotels from MakeMyTrip.com. The phone will be available through Xiaomi’s official site and also Flipkart. Follow the links below to the respective stores.